Toxic heavy metals can cause serious damage to the body if left to accumulate over a long period of time. These top of the line DMSA Suppositories from VitalTox are designed to bind heavy metals in the blood and support natural detoxification processes. Purchasing this product today earns you 190 DR Reward Points! Toxic heavy metals can cause serious damage to the body if left to accumulate over a long enough period of time. 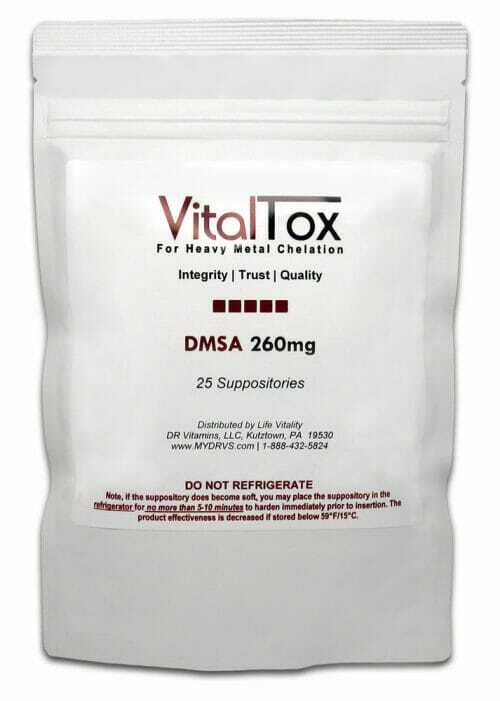 These top of the line DMSA Suppositories from VitalTox are designed to support the body’s natural detoxification abilities by attracting and binding to toxic heavy metals in the blood and aiding in their removal via the urinary tract. While some heavy metals in the body can have nutritional benefits, others like lead and mercury are considered to be highly toxic and potentially harmful substances. Such heavy metals have the potential to cause excessive damage if left in excessive concentrations throughout the body. 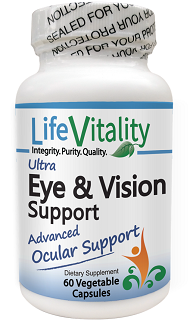 This includes contributing to the development of free radicals. The term free radicals refers to atoms which contain an unbalanced electron. These atoms will find a pair for their unpaired electron by taking one from other atoms throughout the body. This has the potential to set off a chain reaction of cellular damage and imbalance referred to as oxidative stress – a serious health concern thought to be a significant contributor to the aging process itself!1 Supporting the body’s natural processes for cleansing itself of heavy metals is an important step to take for limiting accumulations of oxidative stress. DMSA, also known as succimer, is a chemical compound which attracts and binds to heavy metals in the bloodstream. The purpose of this is to facilitate the removal of higher concentrations of heavy metals via the urinary tract than would normally occur from the body’s natural detoxification processes. This binding of metals in the blood is commonly referred to as heavy metal chelation. Because it needs to reach the bloodstream to be effective, DMSA is most commonly administered via an intravenous (IV) injection. 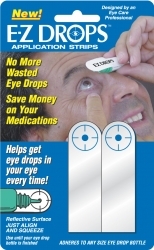 While this method is sure to provide an effective dose of DMSA, clinics which administer such injections can be difficult to reach from many locations, and injections would have to be administered regularly to be fully effective. 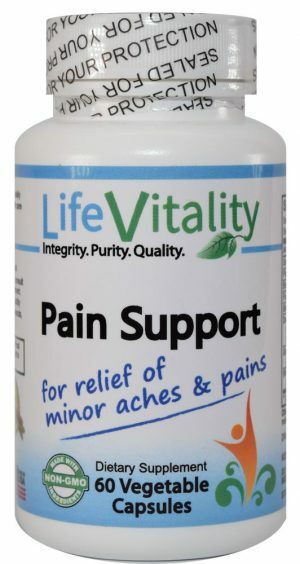 This suppository based DMSA from Vitaltox provides a more convenient and affordable chelation alternative to IV injections which provides comparable absorption rates. This product is contraindicated in individuals with a known hypersensitivity phospholipids, sesame seeds or any of the ingredients should avoid taking this product. DMSA should not be used by pregnant or lactating women. Note: This product must be stored at room temperature from 59 degrees Fahrenheit to 86 degrees Fahrenheit. Do not store in the refrigerator or freezer. If the suppository does become soft, place the suppository in the refrigerator for approximately 10 minutes only immediately prior to insertion to achieve the firmness needed for comfortable insertion. If you experience any adverse effect, discontinue and contact your healthcare provider before resuming use. 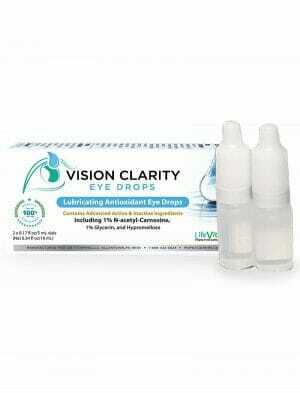 This product contains no hidden coatings, excipients, binders, fillers, shellacs, artificial colors, fragrance, diary, wheat, egg, yeast, gluten, corn, sugar, starch, preservatives or hydrogenated oils. DMSA has been used safely in children. However, the safety and efficacy in pediatric patients less than 12 months of age has not been established. VitalTox DMSA suppositories should NOT be taken unless you are under the supervision of a qualified health care professional. Dose selection for an elderly patient start at the low end of the dosing range (1-2 suppository(s) per day) reflecting a consideration of concomitant disease or other drug therapy.